Whether or not you own a Nova device from Huawei, the company is offering gifts for you all. 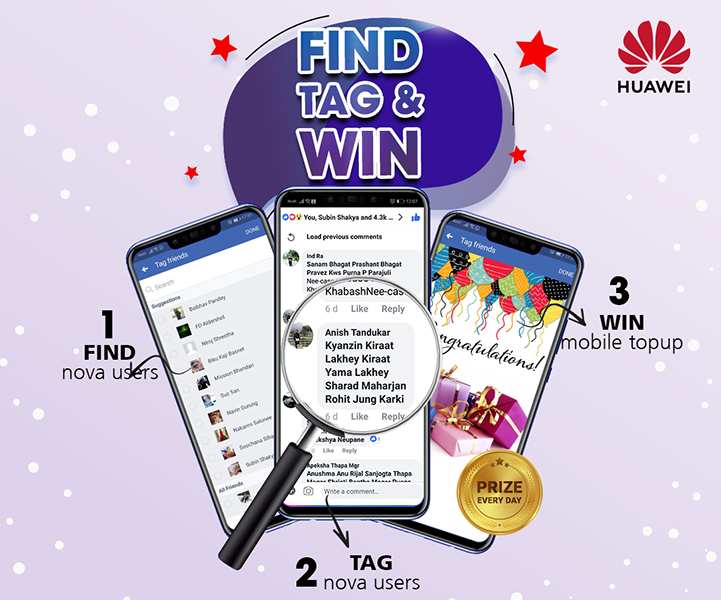 You can now win the brand new Huawei Watch GT and mobile top-up every day if you or your friends carry any Huawei Nova device — Nova 2i, Nova 2 lite, Nova 3i, Nova 3e or Nova 3 respectively. So, let’s tell you how. Participants must follow all the rules to be eligible to participate in the contest. Similarly, if you are a Nova phone user (or Nova 2i, Nova 2 Lite, Nova 3e, Nova 3i and Nova 3), you will have to register for the campaign to win the brand new Huawei Watch GT at the end of the campaign. Two lucky winners will win Huawei Watch GT. For more information, you can see terms and conditions.